Now – and Holland may not like this – she has had the temerity to make a short film inspired by Heathcliff, the character in Brontë’s only novel, Wuthering Heights. To celebrate the writer’s bicentenary, it will be screened this weekend at the Brontë Parsonage Museum in Haworth, Yorkshire, where the family lived. After three short documentaries, this is the first fictional film Cole has directed. Called Balls, it’s a moving, elliptical reimagining of Heathcliff’s first few months. His black Liverpudlian single mother takes him to the Foundling Hospital to see if they will accept him because she cannot bring him up by herself. The title refers to the fact that, initially, the hospital accepted children on a lottery basis: mothers who picked white balls from a bag were accepted, those who picked black balls were turned away, and reds meant the reserve list. When Cole first reacted to Holland’s onslaught, she said she was considering using a pseudonym for her film as an act of solidarity with the Brontë sisters. Was she being serious? Incidentally, she also was interviewed on BBC Radio 4. A short video can be seen here where she defines Heathcliff as a domestic abuser. Best-selling author Kate Mosse is appearing in Haworth tomorrow for the launch of I am Heathcliff, a newly commissioned compilation of short stories, each inspired by the anti-hero of Wuthering Heights. She is appearing alongside fellow writers Joanna Cannon, Juno Dawson and Louise Doughty, when each will talk about their response to one of the literary world’s most divisive fictional characters. 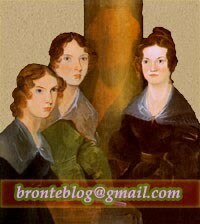 Mosse has been a fan of the Brontës - sisters Anne, Charlotte and Emily - since she was a teenager and believes Emily is one of the main reasons why these literary siblings have remained so popular over the years. She says Emily wrote a novel the like of which hadn’t really been seen before. “It wasn’t domestic and it was not in any way following the attitudes and morality of the time,” explains Mosse. Mosse first read it when she was in her teens, like countless others around the world. “I remember thinking the one thing it wasn’t was a love story. It’s a story of obsession, of passion, of revenge, but it’s also a story of domestic violence and a story of racism and society. It’s also, Mosse believes, a hugely ambitious novel. “It’s trying to tell this epic story of two generations held together by place, but it’s also about revenge and love, and that makes it such a significant novel for all those writers who come after her. “The work is utterly of its time so you do have a sense of the values of that era. The power of very human emotions and the idea of railing against religion being a good thing are of their time, but they are also of our time and that’s why a story like this is so interesting because it still has the ability to inspire people. Even so, not everyone has been swept up by Brontë’s breathless saga, or indeed the writer herself. Writing in the Guardian recently, the writer and journalist Kathryn Hughes was critical of Brontë as a person and not much kinder about her book, which she called a ‘screechy melodrama’ of a novel. “It is a complicated and flawed novel in many ways, particularly the second part which is often left out of films and dramatisations because people want the story of the original Cathy and Heathcliff. But, for me, that’s what makes the novel so exceptional, the fact that Emily was prepared to go all out for it. “I think it is important to separate the cult of Emily Brontë from the actual work. Emily, I have no doubt, was a very complicated person. She was completely focused on herself and her own work and she was not, as many Victorian women would have been, interested in pleasing anyone else. And this most famous of novels, like the sisters themselves, remains as popular as ever. “If you don’t like big, epic stories you won’t enjoy Wuthering Heights. “The moors around Haworth are a source of huge admiration for literary fans across the globe,” said Carol Prenton, surveyor at Yorkshire Water which owns the land. “It is barren, it is peaceful. These landscapes are quite remote, but that’s what people love about them. “They visit in their thousands every year to see the places that inspired Emily Brontë’s novel. “But oer the years they have degraded through air pollution, with a lot of the peat bogs disappearing. It has long been acknowledged that Emily Brontë took inspiration from the moors around Haworth for her tale of doomed lovers Heathcliff and Catherine. But in the years after Wuthering Heights was penned, these moors faced pollution from nearby quarries and factories, with much of the delicate bog plant life killed. The Moors for the Future Partnership has been working since 2003 to revive it, carrying out specialist conservation and scientific research with the support of Yorkshire Water. Miles of dry-stone walls have been built, alongside fences to enable the best grazing management for wading birds. Lime has been spread, along with seed, fertiliser and heather brash, to re-vegetate bare peat and block up eroded channels. “We, as custodians of this landscape, are trying to put it back,” said Ms Prenton. Visitors will be able to step on board the state-of-the-art mobile exhibition vehicle, to experience the sights, sounds and textures of the local moors that inspired a literary work of genius. No booking is necessary, it’s free to attend; just turn up to enjoy! It was once a piggery owned by a businessman who employed Anne Brontë as a governess for his children, but now the site of a historic mill is being turned into new headquarters for a brand design company. York Mills once belonged to the Ingham family who lived at nearby Blake Hall in Mirfield. In 1821, the buildings were part of a larger estate which included textile warehouses used by businessman Joshua Ingham. Other buildings included a large barn, several stables, a cow shed and cart sheds. The building being renovated by the Engine Room is believed to have been used as a piggery. What little we know of Emily Brontë’s short life suggests that she valued and exercised her privacy, perhaps to degrees inconsistent with marketplace success and fandom development. She was out of step with powerful cultural forces in her day; she seems especially so in our own moment when a first-time novelist is exhorted to ramp up her social media presence. The next leg of the trip brought Cian to the banks of the Shannon, to Banagher. Local man Gerard Killilea contacted Cian to highlight how Banagher is connected to Charlotte Brontë. It’s something locals are promoting in a bid to attract more tourists. On arrival in Banagher, Cian visited St Paul's church to meet local historian James Scully who explained the famous novelist's links to the town. The bit on Charlotte Brontë can be found here. Emily Brontë ist heute besser unter ihrem eigenen Namen als unter jenem Pseudonym bekannt, unter dem sie einst ihre Werke veröffentlichte. Ihre Zeitgenossen hingegen bewunderten die atmosphärisch dichten Werke von Ellis Bell. A Lady in London lists films that make you fall in love with England, including the several Jane Eyre adaptations. All About Romance reviews Alexa Donne's Brightly Burning.